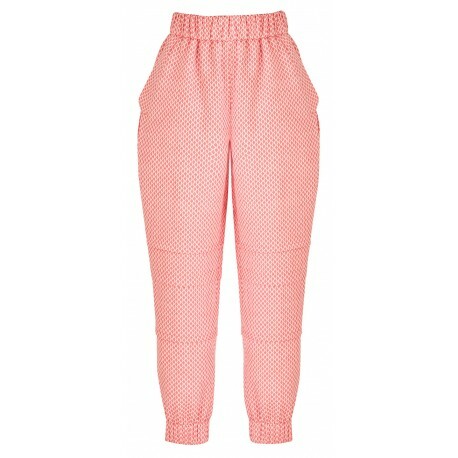 Cut in a way that underlines the beauty of a girl's silhouette long pants with high waist AW17 PETITE LOOK 02 Poca & Poca emanate with elegance worthy of royal lounges. 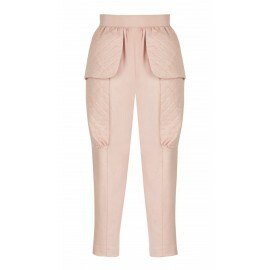 The stylish pattern with pink diamonds is diversified by subtle overlaps, while the legs are crowned with gentle cuffs. 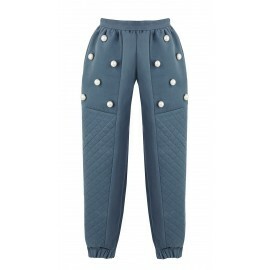 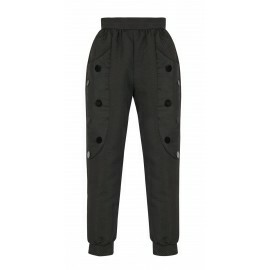 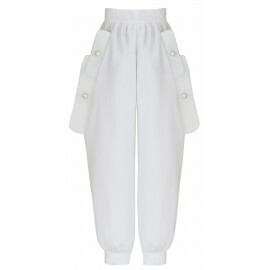 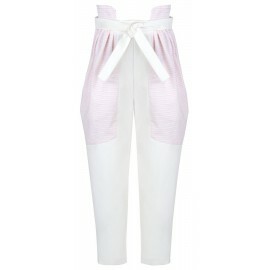 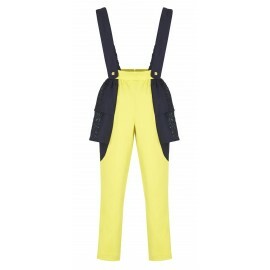 Elastic waist pants made with textured fabric prove that a dress is not the only elegant outfit for a girl.